When one body becomes two, and then three, Claire finds herself in a race against time to connect the dots between a host of devastating secrets, before the killer strikes again. 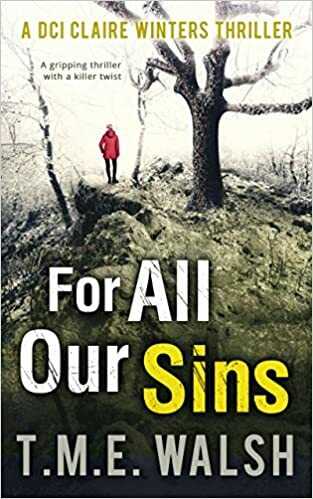 I came across this book whilst looking for new books on Amazon, it was cheap and I liked the sound of the plot and I love a good twist and as the tag line was "For All Our Sins: A gripping thriller with a killer twist so I parted with my 99p and gave it a go. If I am totally honest I hated the first half of the book, reading it felt like I had joined a book half way through, it was as if I should have known some of the characters and their backgrounds. The Priests were particularly annoying to read. There was also a lot of filler with background detail about DCI Claire Winters that wasn't needed and added nothing to the story at all. For me the killer twist didn't exist. It was spoon-fed to you. The second half was a lot better and I enjoyed the action, it kept me engaged and was well written. T.M.E Walsh certainly isn't on my avoid list by any means and I will give the second book a read.